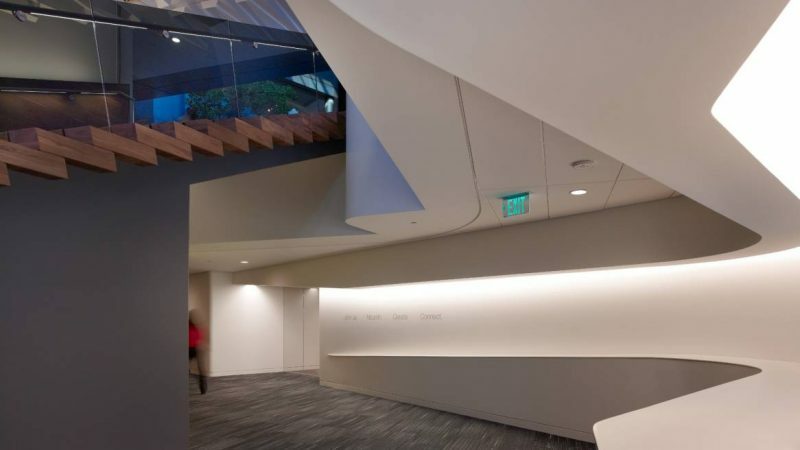 Home/Uncategorized/Steelcase Recognized as One of the Most Civic-Minded Companies in the U.S.
Steelcase has as one of the most community-minded companies in the nation as a part of the Civic 50, an initiative of Points of Light. The company’s expansive involvement in community programs – including a mix of volunteered time, product/service donations and financial gifts – led to the recognition, which Steelcase also earned in 2016. Steelcase focuses support on public education, diversity and inclusion, the arts and the environment. In the fiscal year 2017, Steelcase employees reported over 46,000 hours of volunteer activity in 56 global locations. A total of 275 organizations received support from the company or individual employees. Steelcase Small Grants, a global program launched in March 2017, extends cash grants up to $2,500 to a community partner an employee has an established relationship with. In-kind product donations to cultural institutions in West Michigan, including the Grand Rapids Ballet, Grandville Arts Center and the Hispanic Center of West Michigan. Employee-driven community groups and projects in Athens, Alabama; Cluj, Romania; Monterrey and Tijuana, Mexico; Pune, India and many other locations. This year’s Civic 50 applicants were evaluated and accrued points based on several criteria, including the quantity and impact of financial and human resources applied to civic improvement; whether internal and external resources are activated to maximize community impact; how a company’s community engagement activities support its business interests; how broadly community engagement is supported and institutionalized within a company’s policies, systems and incentives; and how a company measures the social and business value of its community engagement programs. “Since 2012, we have seen a notable shift in the results from the survey in a direction that speaks to the commitment of American companies to connect values of community service and civic engagement to the culture and operating practices of their business,” said Jennifer Lawson, Executive Director of the Corporate Institute at Points of Light. To learn more about the Civic 50, to see a full list of the winners and to access the full report, The 2017 Civic 50, which presents the highlights, trends, benchmarking data and best practices from the 2017 Civic 50, please visit www.Civic50.org. IWE is proud to be associated with Steelcase, not only for the quality of their products but the quality of the company and its commitment to excellence in everything they do. IWE is one of the largest dealers of Steelcase products in the world. Call us today and let one of the experts help you discover the excellence that is Steelcase.